A multispectral image is one that captures image data within specific wavelength ranges across the electromagnetic spectrum. The wavelengths may be separated by filters or by the use of instruments that are sensitive to particular wavelengths, including light from frequencies beyond the visible light range, i.e. infrared and ultra-violet. Spectral imaging can allow extraction of additional information the human eye fails to capture with its receptors for red, green and blue. It was originally developed for space-based imaging, and has also found use in document and painting analysis. How much gold remains to be mined on Earth? How about the lesser-known element indium, necessary for computer and smartphone displays? With known sources of some essential metals facing depletion within the next few decades, there is more pressure on pursuing alternatives to existing mining exploration technologies. How can we more easily find needed deposits at scale? On earth? And in space? Multispectral imaging is already used in satellite, drone and aircraft-based systems in the hunt for new valuable mineral deposits on Earth, and it’s also starting to be used in space! The next step is likely hyperspectral imaging. Routine use of existing hyperspectral systems by the minerals industry has been hampered by the unavailability of systems for industrial use, the high cost of hyperspectral data (when available) compared to typical multispectral data, and the need for additional research into the processing of hyperspectral data. After a few rough years in terms of growth and investment from 2010-2015, with falling prices and low investment, 2017 is starting to look better, and companies may be looking to invest in new technologies to better find and extract the resources the world’s economy is demanding. But visible spectrum photography alone had limitations – weather, daylight, and the simple fact that much of what they were looking for was hidden underground. Much had to be inferred. It wasn’t until the post-World War II, that new sensing modalities came into play as technologies developed during the war were then applied to commercial applications that would become hallmarks of modern aerial-based mineral exploration. Infrared cameras could penetrate inclement weather conditions better than conventional photography and more easily identify the mineral content of soil. Magnetometers could sense the disturbances in the Earth’s magnetic field to pinpoint metallic ore deposits deep underground. Gravimeters function by measuring the pull of Earth’s gravity which varies slightly based on the position of various underground mineral deposits. Airborne gamma ray spectrometry was developed during the 1960s, where the deepening Cold War ensured there was plenty of demand for radioactive minerals like uranium. 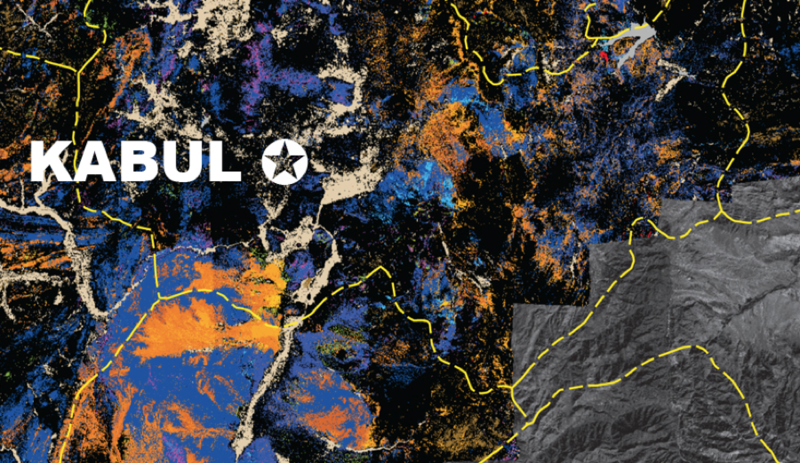 Radar carries many of the same advantages that infrared film does, but can see through limited vegetation, revealing the geological features underneath, day or night, including surface texture and moisture content. Moving imaging systems from aircraft to satellites also yielded entirely new possibilities. Government support was critical in initiating this technology. 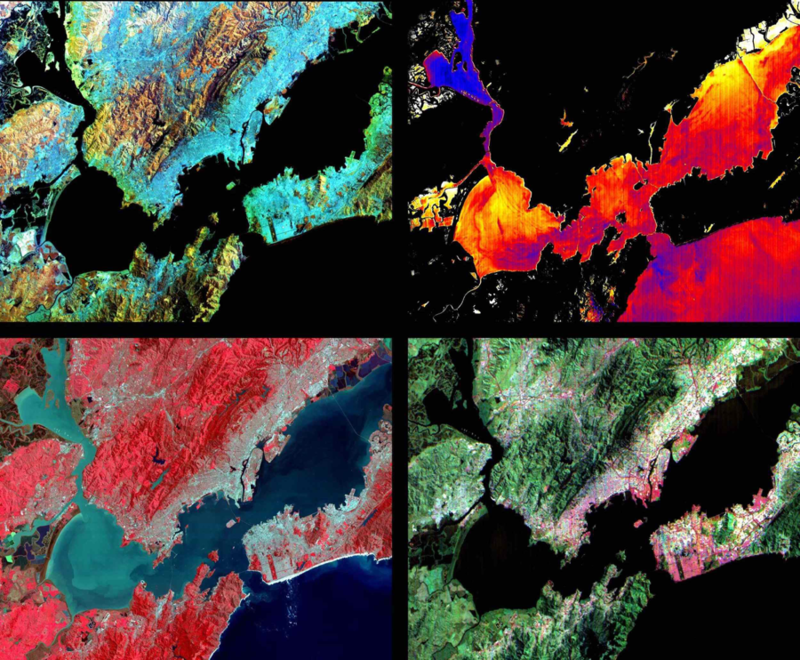 Current technologies include the Landsat thematic mapper and the enhanced thematic mapper multispectral imager by the United States and high-resolution panchromatic imaging technology (SPOT) developed by the French Space Agency. While the data from these different methods was very useful, it still didn’t provide the detail of imaging. Imaging in the visual range simply didn’t offer the detail and information that the mining industry needed. 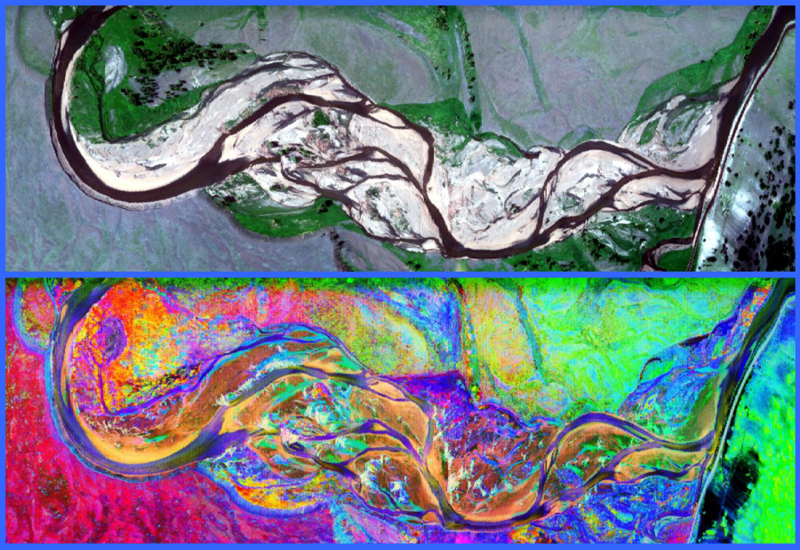 Enter hyperspectral imaging, courtesy of NASA. The technology was first developed in the late 1970s by Jet Propulsion Laboratory, enabling NASA to put hyperspectral imaging equipment in satellites sent to Jupiter and Saturn. While a few private companies built their own hyperspectral cameras, it really took off when NASA made the technology available to researchers and entrepreneurs, even offering grants to test the real-world effectiveness of the technology, including one to Yellowstone Ecosystem Studies. Like most remote sensing techniques, hyperspectral imaging makes use of the fact that all objects possess a unique spectral fingerprint based on the wavelengths of visible and invisible light that they absorb and reflect. This reveals a great many details not available in the visible spectrum, such as the difference between greens that represent natural plants, and those that are not natural, such as plastics and metals. Green plastic has different reflectant properties than natural vegetation out beyond the visible spectrum – even fallen or cut branches have a different fingerprint than growing vegetation. The commercial impact will be enormous, particularly in the field of mineral exploration. While gold occurs in amounts too small to detect with any available technology, more common minerals like kaolinite and arsenic, which are products of some of the same geological processes, are clearly visible in open landscapes, as is the case in much of the American West or Australian desert. For the diamond industry, kimberlite pipes, the volcanic formations that brought diamonds to the surface, are easy to identify from the air with hyperspectral imaging. Unlike radar, hyperspectral technology cannot penetrate below ground, or through vegetation or buildings. But it can be combined with radar to make it even more potent. Further integrations yield even more accurate views of the earth’s surface and its secrets below. LIDAR is an even more accurate system for mapping topography, with all systems integrating GPS data to eliminate the need to conduct expensive ground surveys or image correlation. The data demands are heavy, putting a lot of pressure on each organization’s computing power. For example, when NASA used hyperspectral imaging to investigate the 16-square-mile Superfund site in Leadville, Colorado, it saved years of on-the-ground work, with 45 seconds of satellite imaging. Still, it took another 10 months to crunch the numbers. Only with the development of more powerful computers has this kind of imaging been brought out of the lab. The rapid growth in computing power and storage capacity in widely-available computing platforms has allowed the very large data sets, terabytes and exabytes of information from airborne instruments to be handled in the time frame required by mineral exploration operations. The goal of the project is to define the geologic footprint of select deposits using imaging spectroscopy, and regionally extrapolate this knowledge to areas not well characterized. 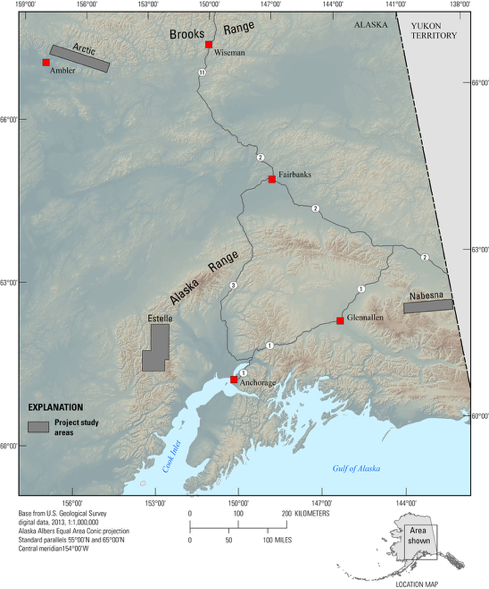 It is expected that the synthesis of results from this multidisciplinary project will enhance our understanding of the regional geology and be used to develop a predictive exploration model for the identification of base and precious metal-bearing deposits in Alaska and similar remote regions of the world. Today, hyperspectral imaging is well-developed in terms of mineral exploration. Many minerals can be identified from airborne images, and their relation to the presence of valuable minerals such as gold and diamonds is well understood. Hyperspectral imaging can be used to map vast amounts of land and narrow down the search area for valuable deposits of minerals. In some cases, hyperspectral imaging can be used to pinpoint the particular minerals of interest, but can also locate indicator minerals that suggest a nearby location of a valuable ore deposit. This new data demands new understanding of the movement of fluids through the Earth. What is the relationship between the location of specific valuable minerals? Enhanced hydrologic models will be critical for future mineral exploration. This is also relevant to the effective closing of mines that have completed their life cycle. Models for ore deposits that, when mined, have minimal impacts on the environment (such as deposits with no acid-generating capacity) and for deposits that may be available to innovative in-situ extraction will be important for the future. Technology has progressed to a point where it is now possible to predict three-dimensional images from two-dimensional analyses in some mineral systems. Refinements in this technology could lead to defining liberation in an ore, thus eliminating overgrinding and reducing both energy usage and excessive loss of fine-grained particles. Routine use of existing hyperspectral systems by the minerals industry has been hampered by the unavailability of systems for industrial use, the high cost of hyperspectral data (when available) compared to typical multispectral data, and the need for additional research into the processing of hyperspectral data. There is still a lot of work to be done. In many countries, national governments are funding, and companies are investing in, system development and deployment as well as basic research on the analysis of hyperspectral data that would ensure that these new technologies would be useful for the mineral exploration industry, as well as for a wide range of other users, including land-use planners and environmental scientists.